An engaging and multifaceted chamber ensemble, the saxophonists of the Oasis Quartet bring to the group diverse backgrounds and wide-ranging interests. The Oasis Quartet is equally at home performing music of many genres from Bach to Dvorak to fresh, current works commissioned by the ensemble. This broad scope is the inspiration behind their eponymous debut album – the varied musical selections on this recording not only display the strengths of the group, they define them. This album features works by the iconic Philip Glass, as well as inventive saxophone champions Thierry Escaich and Ida Gotkovsky. String Quartet No. 3 (Mishima) by Philip Glass is derived from the score Glass composed for Paul Schrader’s 1985 art house biopic Mishima: A Life in Four Chapters, about the prolific Japanese author Yukio Mishima. 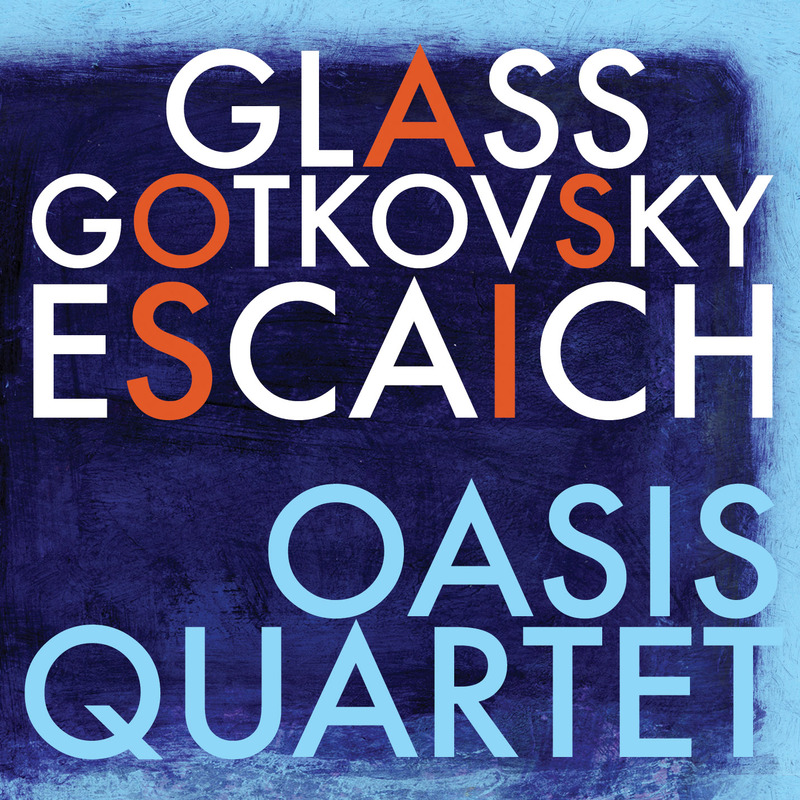 The title of each movement comes from the scene in which the music is found, with the exception of “November 25: Ichigaya,” which actually comes from the scene “1937: Saint Sebastien.” In interpreting Mishima, the Oasis Quartet imparts varied articulation and tonal colors not possible in a string quartet setting, and brings their unique balance of clarity and power to bear on this vital work. Nathan Nabb adapted this version of the quartet for saxophones in 2007. Escaich is a celebrated organist and composer who teaches at the Paris Conservetoire. At once improvisatory yet highly structured, Le Bal is a modern conception of a dance suite – a contemporary reinvention of J.S. Bach’s style. Though through-composed, this work alludes to classic dance styles including the waltz and tango (at times giving a nod to his other composition for saxophone quartet, Tango Virtuoso) while also evoking more contemporary, driving rock-and-roll sections. These disparate musical genres are seamlessly woven together with creative transitional sections – a technique Escaich regularly employs when connecting his personal works with those of the older masters in his own performances. Oasis tackles the daunting technical and widely varied musical demands with equal aplomb. Ida Gotkovsky (b.1933) is a former student of Nadia Boulanger and teaches at the Conservatoire National Superieur du Musique. Her compositional style is bold and volatile – perfectly suited to the strengths of the Oasis Quartet. In the first movement of the Quatuor she deliberately obscures the meter, superimposing a lyrical, ethereal melodic line in the upper voices upon an insistent, non-metric ostinato in the baritone. Gotkovsky also utilizes soaring unison lines in both the third movement Linéaire, and in the fifth movement, Final. Her adept employment of these unison passages connects the listener to the music in a visceral way that transcends the modern elements of her music, making this quartet approachable and attractive, particularly through the clarity and nuance of Oasis Quartet’s subtly powerful interpretation. The Final is one of the most recognizable movements in the saxophone quartet repertoire, a strong conclusion showcasing the power of the saxophone.